Dana said this was the best thing that had been written about him and linked to it for years so besides being flattered (after all it was just using his words) I liked it too. Dana died in San Francisco December 13, 2000. Many of the links within this story were still alive for years, now link rot has forced me to the Wayback Machine, holder of all web memories. The Dana’s Next Exit site ‘died’ in 2014 which surprised me (and immediately made my webservers shudder – are we next?) even though I know that anything you do online is ephemeral. Photograph of Dana is by Marcus Wardell from Next Exit archive. This was written in 1996, when the web was made for 640 x 480 screens, gifs and 28k modems. Page load speed was important, and everything showed the size of the download before you clicked the link. It isn’t like that anymore. Even your smartphone is higher resolution and connection speed for most of us is no longer an issue, so I feel I need to explain this. I’m fixing the links as I find good replacements. 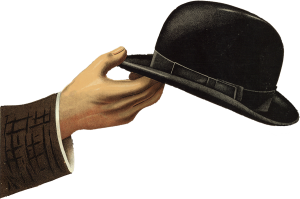 I would have liked to say goodbye and thank you Dana – so restoring this is my way of doing that. I’ve corrected some spelling but left the text content much as it was. Looking back that far always seems like someone else wrote it and you have to be respectful to him. I smiled at the careful listing of the computer hardware and software (this was written for the online version of MM – Australian Multimedia Magazine). I’ll write something eventually about how our vision of CD based multimedia was subverted by the web. Now your laptop probably doesn’t even have a disk drive of any format. It’s a digital story, so it sits well on these pages. It doesn’t need a lot of bandwidth, so you can read it as fast as you’d like. The main character in this story, is a storyteller himself. (This is a true story, so that sentence is not just a clever plot device). From his name, you can probably tell that he’s an American. Dana is a also a multimedia artist passionate about combining the ancient arts of storytelling with the powerful tools of multimedia technology. He’s an artist, designer, poet, typographer, photographer, film and video maker, he works in San Francisco and his company D3TV produces and consults for an enviable list that includes Apple, Radius, Broderbund, Silicon Graphics, Simon & Schuster and the Coca-Cola Company. He’s also a polished performer, his multimedia theatre presentation Next Exit has been presented as part of events such as, the Cannes Advertising Awards, Macworld, and the Rotterdam Film Festival. On October 4th to 6th, in the small town of Crested Butte, Colorado (‘where the elevation is greater then the population’) and where Dana has had a house since 1968, he presented the Digital Storytelling Festival. Building on what was an ‘invitation only’ event for about thirty people held in 1995, this year (1996) the guest speaker list could define the cream of the digerati. There were major games producers, creative film and video-makers as well as heavy showing of online and interactive programme producers. Pulling an event like this together may seem everyday for someone who has been described as “having the voice of Garrison Keilor, the timing of Lily Tomlin and the sensibility of Hunter S. Thompson”, but the story of how Dana Atchley reached this stop on the road, shows a determination and focus that I envy. That’s the story I’m about to tell. It also sounds like more fun then is good for you. “My grandfather took home movies, and he took maybe four hours in a life time. People shoot that much videotape pretty quickly now. So the only way you can get your hands around the extensive archives we’re creating is to tell a story.And in doing that we pull pieces out that can be presented to friends and others in a very nice way. “Dana’s stories tell a lot about growing up in New England, and the seaside town of Newburyport, Massachusetts. “In our family if someone yelled “Dana” three generations of heads turned, so there was D1, D Jr., and I was D3.” A significant influence was Dana’s father’s passion for Ham radio, “He talked around the world from his little red Radio Shack down near the beach, using antennas built from 2×4’s and bailing wire”. Dana carried his love of image making through an arts education that included the Yale University Graduate School of Graphic Design, (where he studied under no less than Walker Evans, Paul Rand, and Dieter Roth) and began the process of earning a living as a teacher of printmaking and calligraphy. He designed and published work under his own imprint, Stygian Press, and followed his interest in fine art books into producing a documentary called “The Making of a Renaissance Book”. In 1969 he started what was to be a major turning point in his life and a seminal project in the “Correspondence Art” movement of the time. He sent off invitations to people all over the U.S. and overseas asking them to contribute something of interest, up to ten pages long, for what he was calling the “Space Atlas” . Participants were asked to make 250 copies of each contribution. And in return each of the contributors received two copies of everyone’s work, assembled in a three-ring notebook binder.”Nothing was rejected, which was a very late sixties idea, and nothing was for sale. I just gave every one of the 120 that contributed, two copies, and if people didn’t like it they could turn the page, open up the ring binder and get rid of it or change the order for themselves. When the Space Atlas project was completed in 1971, Dana began sending them out. Some he chose to deliver by hand. Someone said to me that all human kind is divided into settlers and travellers, I’ve always been the latter. All I know is that when I took off at age thirty, in the first of my four vans, listening to Rod Stewart sing Maggie May on the radio, crossing the Canadian border headed south on the road, there was a sense of exhilaration that I’ve hardly felt since. “I started out with a VW bus, doing what I called “Trunk Stops”, where I took out this big Space Trunk. It was filled with slides, videotapes, books and all kinds of stuff”. 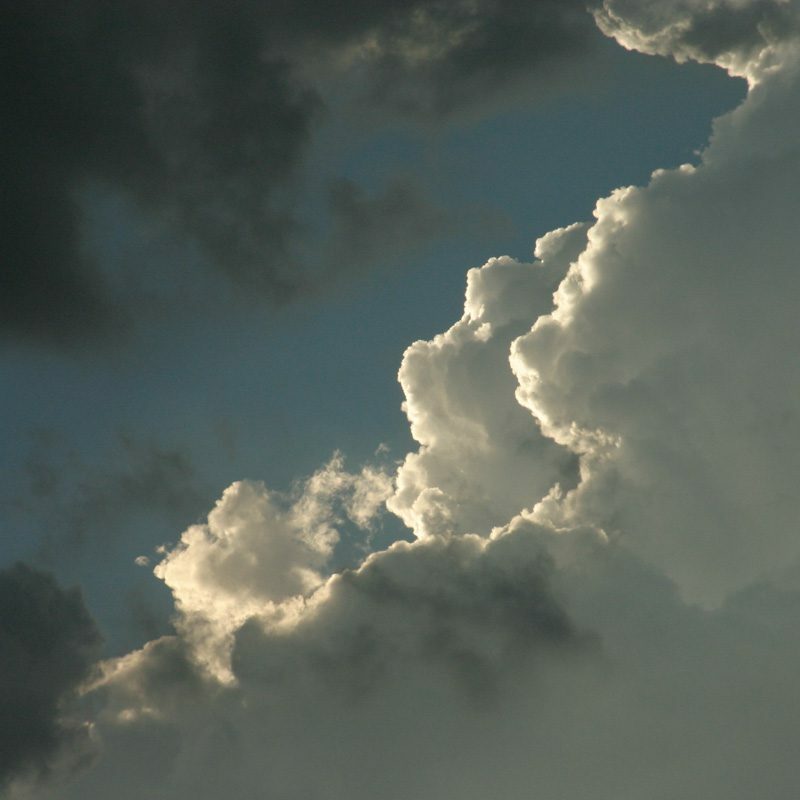 The images and sound that Dana recorded on his trip were soon incorporated with the Trunk Stops into a multimedia performance called the Ace Space Show. It became a polished theatre piece that took him to colleges, clubs and galleries across North America. A contemporary description of the show describes Dana controlling multiple slide projectors from a podium console surrounded by the coloured running lights from trucking rigs. Combining narrative, humour, sound and music, the show moved from bent travelogue to theatre, and depended on precise electronic control of lighting, projectors and audio. Dana built or modified the equipment himself (and was to appreciate the ease of control that a computer made in his later work). “The Colorado Spaceman steps in front of the snow scene (and the audience) wearing a hard hat to which a film strip projector has been attached. He reaches up, turns on the projector on his hat, and proceeds to show images on the screen that is within the image being projected on the larger screen”. “I liked it so much that bought this beautiful old house there for practically nothing. That little old house has financed all my adventures on the road. I’ve gone to the bank over and over to borrow money for motor homes, equipment, gear, this and that. The thing about surviving as an artist wasn’t so difficult, it wasn’t easy, but I had grants, some help and a good network. When I got into broadcast television it was difficult because I had to get almost $100,000 in debt to buy all the gear. That meant I wasn’t doing much art, I was just trying to pay down that debt and that was what the eighties were about. I was learning a good trade, a craft, but in the late eighties I decided that I wasn’t going to do that anymore and went back to my own work with Next Exit”. Dana recalled a 70 year old he interviewed on the road, “I asked him if he had any good advice for us. In the years after performing as Ace Space and producing the Video Postcards, Dana had changed how he wanted to show and control the images. The personal storytelling aspect was there, but in the late eighties he had been able to develop increasingly sophisticated video material on a Quantel Paintbox and a Harry that he was able to use after hours for free. The technology changed his expectations. Dana’s friends had been pushing him for years to get a Mac and he’d resisted. Now he felt he was ready for it, and for the first time, that the digital medium was ready to express his vision at an affordable price. The result was a multimedia event called Next Exit. Next Exit spans 150 years of personal and Atchley family archives, and incorporates dozens of formats from daguerreotypes to digital video. These images Dana processed on a Macintosh PowerPC 8500 using Adobe Photoshop, Premiere and AfterEffects and the video was captured on a Quadra 840AV using a Radius VideoVision card. There are Quicktime stories along with original words and music using an interactive interface built in Macromedia Director 5.0 (with Lingo programming by Patrick Milligan). The show featured at the Digital Storytelling Festival in Crested Butte in October, and Dana presented a condensed view of the show at the Adobe Design Conference in Sydney in September. (Dana was at the AIMIA conference in Adelaide in 1995). He began by talking about how the Next Exit show was structured and (I suspect) was sucked into performing bits of it by the warmth of the audience response. It was a polished mix of the large screen projected multimedia and Dana’s jokes, stories and audience asides. Funny, personal and calculatedly poignant, it brought real not just polite applause, and a group of new female fans to mob him at the coffee break. For the second part of that presentation in Sydney, Dana began by swearing the whole audience into a mock non-disclosure agreement. He then showed the prototype of the children’s CD-ROM / online hybrid that his company BIG!Drive had been working on, partly with Broderbund money, for over a year. BIG! Drive combines drawings by cartoonist Bruce Kleinsmith (aka Futzie Nutzle), Dana’s Quicktime video road movies, and original music that’s selected from the push-button radio. Objects must be found at roadside stops, but what makes this game different and promises unlimited play and educational value, is that it combines a Web browser and e-mail program.The plan is that the game would have it’s own Web site, ( the prototype site used in their demo’s was actually online when this was written) integrated with and adding to the story. It would link the movies and animation on the CD-ROM with actual Web locations. The online component also offers the potential for interaction, winner’s rewards and further levels of adventures, and provide short Shockwave downloads that appear as interactive billboards along the route. The group hope to subsidise the ongoing project via advertising banners and promotions integrated at the roadside stops. The concept neatly involves all of Dana’s themes of evolving communication, journeys of discovery and his excitement for storytelling via the Web. It may be just those reasons why he’s had trouble finding a publisher for it. It has an individuality in an environment where, as he explained “if it’s not going to be another Myst it’s too expensive for publishers to take chances”. “The road connects things, the road has the potential of the continually changing viewpoint, a different driveway every night. The only thing about the road that is frustrating, is that it would be terrific if you could turn a corner and really be in a different place. On the Internet you can do that with a simple link. Click on a URL and you are in some fantastic place you never imagined”. “This a technology that can impact everybody, it’s an incredibly egalitarian technology . A lot of people complain about the bandwidth or HTML, that it’s just stuck as pictures and text. Pictures and text are what we’ve been doing as a Western culture for the last five hundred years! We’re used to that and the problem is that the more complicated we get, the fewer people will be able to do it, but right now anyone can publish on the Web”. “Can you remember when the Encyclopedia Britannica salesman used to come to the door, the promises he made? And how he talked your parents into these great big massive volumes that were out of date pretty quickly, but kind of magic to explore. And he’s right. It is. Well, thanks for listening. You are sure to hear more stories about Dana Atchley. (He’ll be back in Western Australia soon, filming for a project for CocaCola ). If you get the chance, to see him perform or talk, don’t miss it. You don’t get to be a Digital Geezer without picking up a few tricks and a bit of digital wisdom, but that’s another story. Other links to follow from this story. SanFrancisco Digital Media Centre and Joe’s Diner. 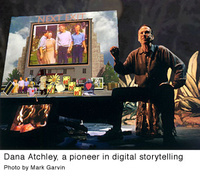 There are Quicktime clips of Dana’s video stories on his web site http://www.nextexit.com. All images and some of the quotes are from Dana’s web sites and used by permission. All details of BIG!Drive are copyrighted by BIG! Drive Associates, LLC., and if you believe that it’s a great concept (like I do) and want to discuss publishing it, please contact Dana.